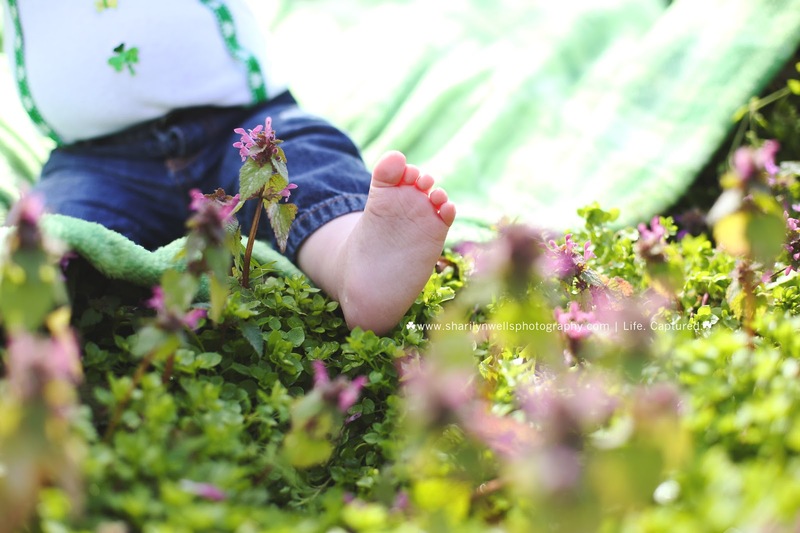 Y'all, I've been wanting to do clover sessions for the longest time and I finally decided to do them this year since I'll be moving to the desert this summer. 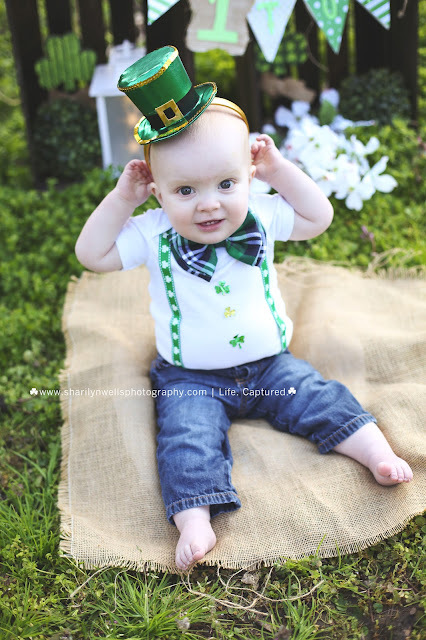 The first person to book was a momma of the little boy that was born on St. Patrick's Day and I was there for his FIRST 48 images in the hospital. 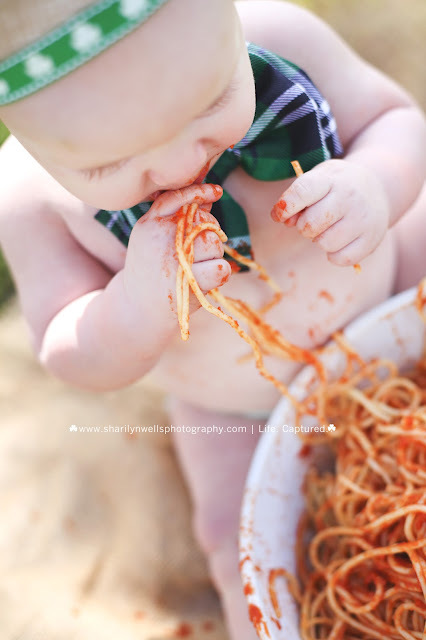 When his momma said she wanted to do a "spaghetti smash" for his first birthday instead of a cake smash ... I was ALLLLLLL for it! 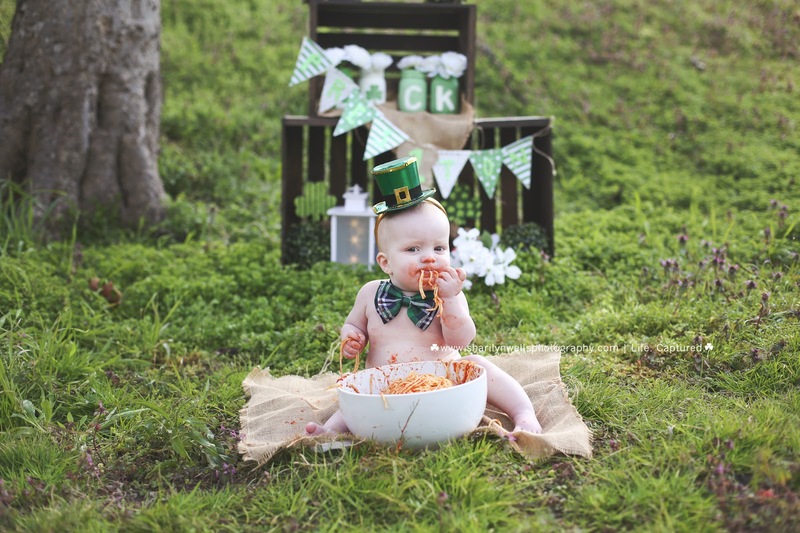 Especially for this Italian/Irish baby boy! 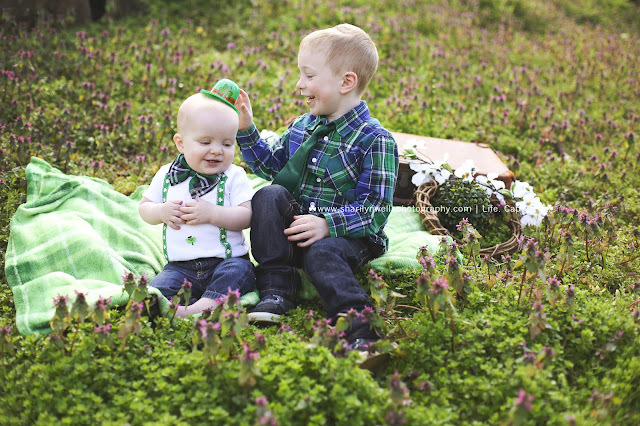 Of course, we had to get a few clean shots of him and his brother. Check out all that clover! 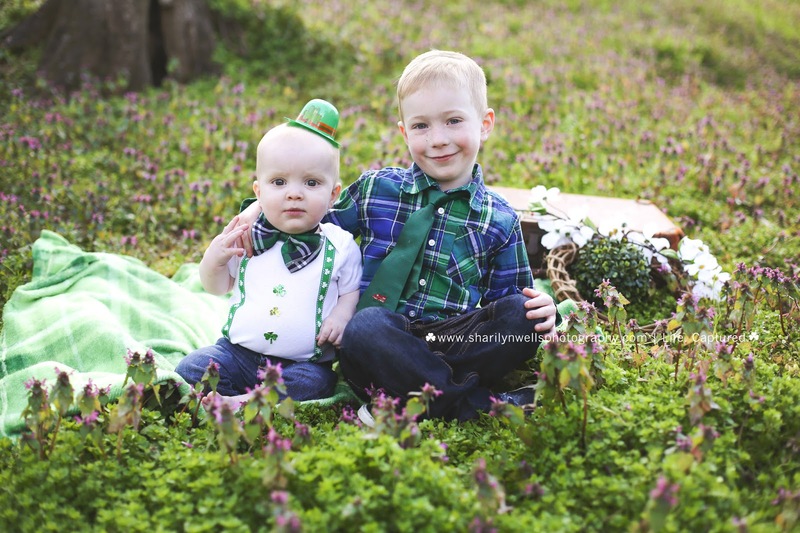 Folks, man, if you haven't booked a clover session yet... you NEED to! this location is freaking amazing! 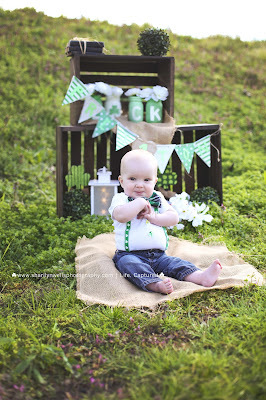 It doesn't have to be St. Patrick or Irish themed ... let's just book a session in the clovers! I <3 them if you can't tell! I'm an Irish girl at heart and love the clover more than I love a tulip ... and I love tulips! 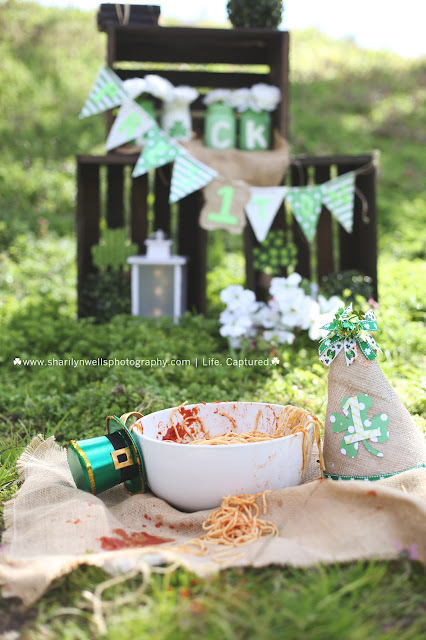 But more about this spaghetti smash! Shirtless and decked in a plaid bowtie ... he went to town in that spaghetti! 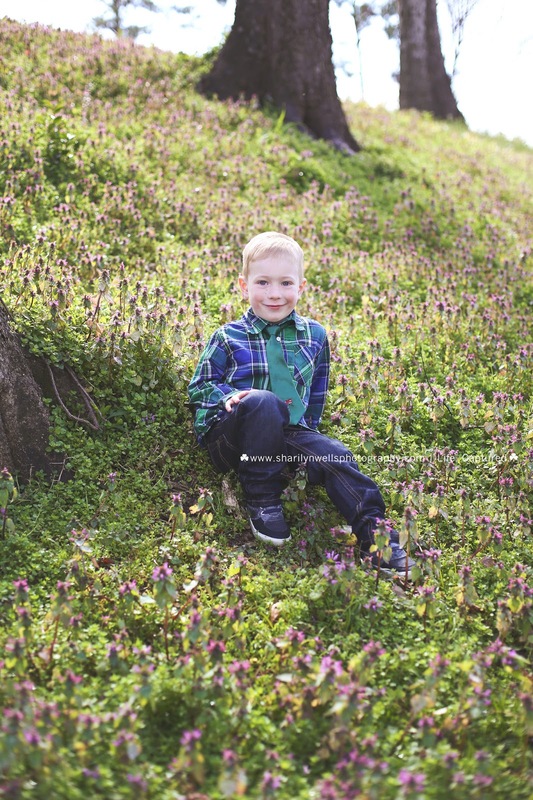 <3 He was sooooo cute. I got WAY too many images to narrow down for mom and dad to choose from but he was amazing. 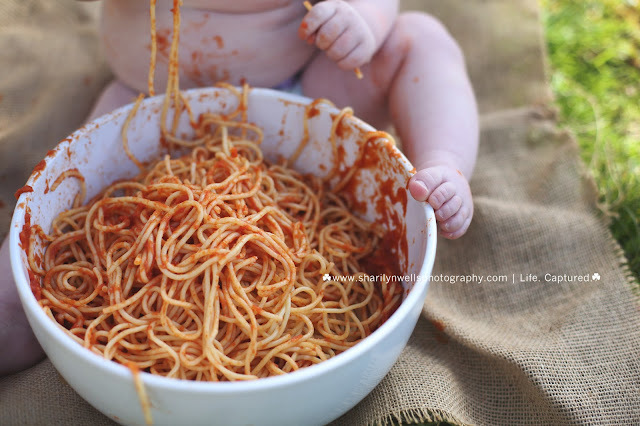 He was enjoying his food, then he'd let out a little whine, and then eat some more. 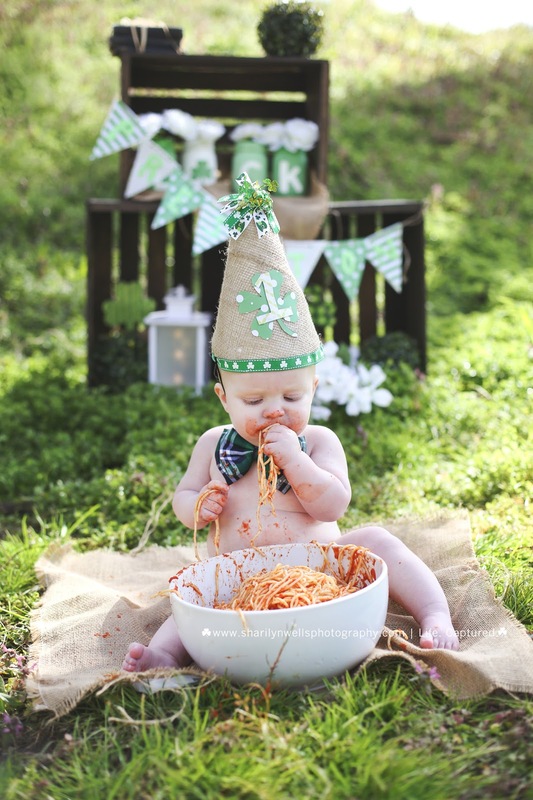 Man, he loves him some spaghetti! The mess afterwards was priceless! A successful first for me, a spaghetti smash perfection!